We’re excited to welcome E.C. 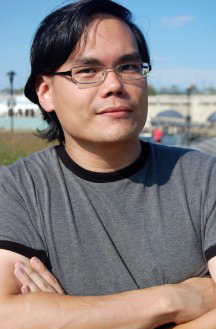 Myers, recent winner of the Andre Norton Nebula Award for Young Adult Science Fiction and Fantasy for his YA debut, Fair Coin. In addition, E.C. deserves additional medals for being a thoughtful and super fun author, and we’re delighted he had the time to stop by and guest post. Read on! Over the course of writing and selling my first two books — we’re talking over the course of many years, because that’s how publishing rolls — diversity in YA became more important to me as a reader and as an author. When I first drafted Fair Coin, I envisioned the protagonist, Ephraim Scott, as half Puerto Rican and his love interest, Jena Kim, as half Korean; but aside from a few oblique character descriptions, readers might not have realized it. Ephraim’s friend Nathan is Jewish, and Mary and Shelley are Latina, but again, these began as insignificant details — details that were perhaps only there for me, the writer. Eventually, I decided that just wasn’t good enough. As I became more aware of how few multicultural YA books there are, I realized that the diversity in my own stories was almost invisible. There’s a simple reason for that: Growing up as a half-Korean boy, I didn’t define myself by my mixed heritage, and so I figured it need not be a big deal for Ephraim or Jena either. (And I certainly didn’t want to include stereotypical characteristics just to bring the point home: “Look! You can tell she’s Korean because eats kimchi!”) But even though I considered myself simply “American,” whatever that means, from the outside, many people saw me as Asian — and that might not be a bad thing in fiction, when there aren’t many Asians at all. It took me a while to realize I could give my characters richer backgrounds and make them more visibly from other cultures without making the books about their heritage. I could be nuanced without rendering their heritage invisible, by conveying their different upbringing in their perspectives and how they approach situations and each other, not just what they eat, how they talk, or what they wear. The characterizations were deeper for it, and I hoped there would be readers out there who would see some of their own unique experiences reflected in them — and see Latino and Asian characters who identified as such, as part and parcel of their personalities. I did tweak Fair Coin before publication to emphasize the characters’ backgrounds more, but diversity isn’t something you can just shoehorn into a book. I had more freedom in writing Quantum Coin and tying it in more organically to the plot. Ephraim’s Puerto Rican father reappears in his life, giving him a glimpse of how different things would be if he’d been raised by him instead of his mother. And we also see Jena’s immigrant relatives and some of the unfortunate impact of racism on her and her Korean family. I’m more committed to including more people of color in my fiction from here on, but I’m still learning that the degrees must be dictated by the nature of the story, rather than the other way around. The science fiction YA manuscript I’m working on now is very multicultural, because it makes sense for that world, but that also means that diversity is also a given for those characters. (If only!) Mainly, I’m determined to look for opportunities to include more characters from different backgrounds and with each story, question whether the protagonist can be of another race, gender, or sexuality before simply defaulting to white male. And that’s the least we can ask of any writer: To consider more varied perspectives in your fiction and challenge yourself to do better than what you’ve done before. E(ugene).C. Myers was assembled in the U.S. from Korean and German parts and raised by a single mother and a public library in Yonkers, New York. 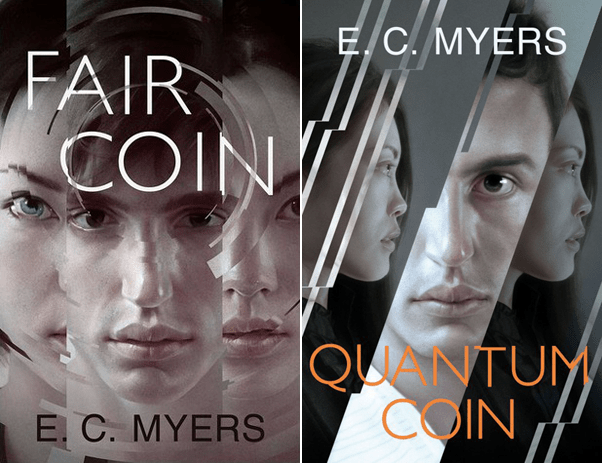 His debut young novel Fair Coin won the Andre Norton Nebula Award for Young Adult Science Fiction and Fantasy and its sequel, Quantum Coin, just released recently. He blogs at ecmyers.net and is on Twitter @ecmyers.